Are you interested in finding out if someone has been to prison before and why they went to prison? The reasons for you wanting to get prison records of a person could be varied. But if your answer to the above question is yes, then it is possible with some effort and patience to get the jail records of a person. If you are dating someone and planning to get married to the person, you might want to be sure that the person’s character is clean and does not have any criminal history or been to jail. Similarly, employers who look for new employees also need to be sure that they are employing trustworthy people and not ones who have been to jail for crimes committed by them. Many a time, we come across clients who assure us of regular and good business if we supply our goods to them at reasonable prices. It is important to verify that the client is truly genuine and will pay his dues on time and not a fraud that cheats people. Checking his jail records will give you all the information about whether he has ever been involved in any scam or fraud and served any jail sentence. First and foremost. You should check out the Bureau of Prison’s website. You can choose the location of the prison you think the person has been or you can use the Inmate Locator. The Federal inmate locator lets you locate a Federal inmate incarcerated from 1982 to the present time. However, if they are not in prison still then you may want to just do a background check on this person and find out everything about someone’s criminal history. Most of the states maintain their criminal records online. You can visit the website of the state law enforcement agency and put in the details of the person who you want to check out. The most basic and essential detail that is required to start a search is the person’s full name. But as there could be many people with the same name, you need to have additional information such as the person’s birth date, address and or social security number. Once you have logged in this information on the site, the record of the person will come up on the webpage. There could be links like “public records” or “court dockets” wherein you could find the person’s past criminal record, the offenses that have been registered against him, arrests and convictions, jails where he has served a sentence and cases where trials are still pending. You might have to pay online to get access to such records and obtain a print out. There are some states that do not maintain websites. In such a case, you will have to visit the state’s law enforcement agency’s office personally and fill an application form requesting for public criminal records of the concerned person and the reason for it. You may want to get the person’s permission and conduct a background check them. 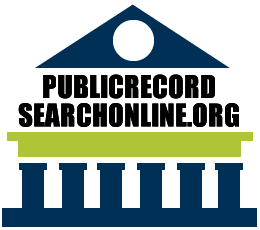 In case you do not wish to put in too much time and effort, you can access background check services who maintain large databases of public records. They charge a fee for their services and you can get your results in minutes with criminal records of the person if any, the jails where he has been imprisoned, if any, the time served by him and the offenses for which he was sentenced to jail. This makes it really easy to find out if someone has a felony or if they are a serious criminal. In this manner, there are different ways to get information on whether a person has ever been to jail or if they have a felony on their record. You can try out more than one option to be sure of the results and satisfy yourself.